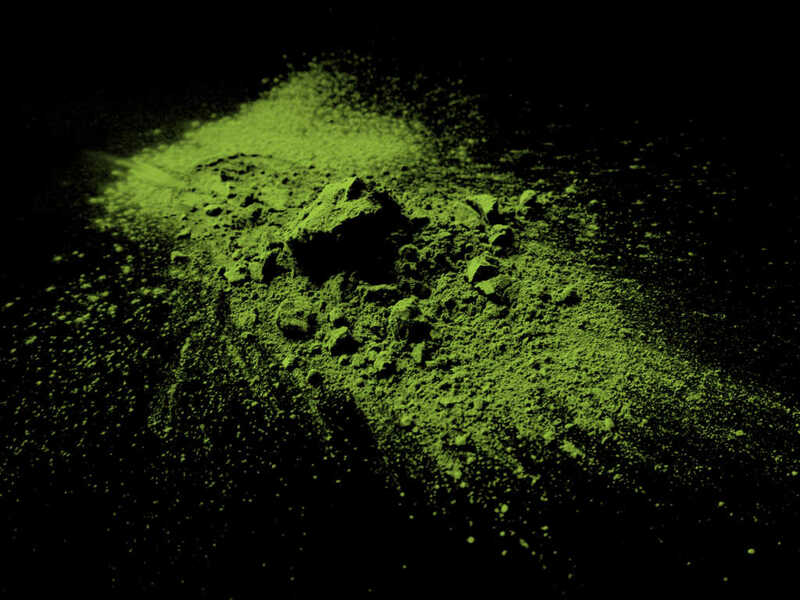 Crafting Matcha green tea is one of the most challenging tasks for any tea maker. The region of Uji has thoroughly mastered this craft, and disseminated its techniques in many other regions of Japan. 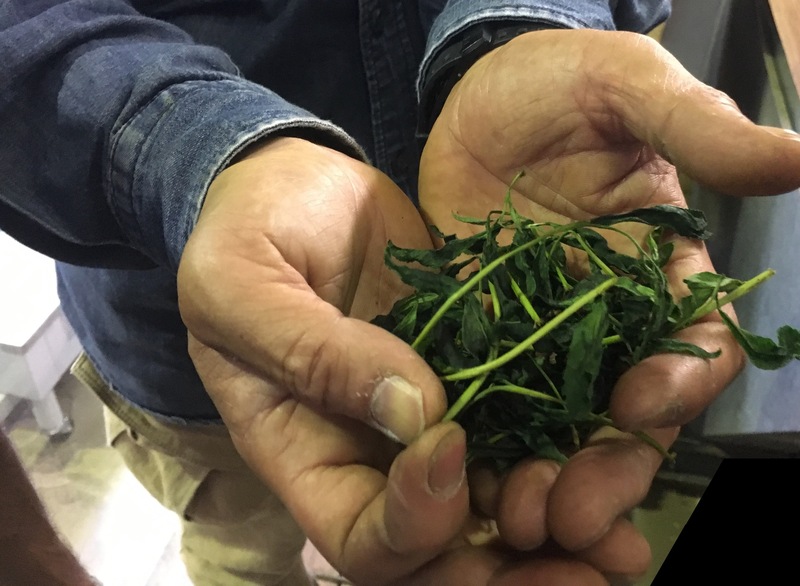 We at Material Matcha Uji 宇治, focus solely on the highest quality of material ever: we only use leaves picked at the first harvest – the “first flush”- typically happening at the beginning of May. And by tasting them we make sure they’re the best too! 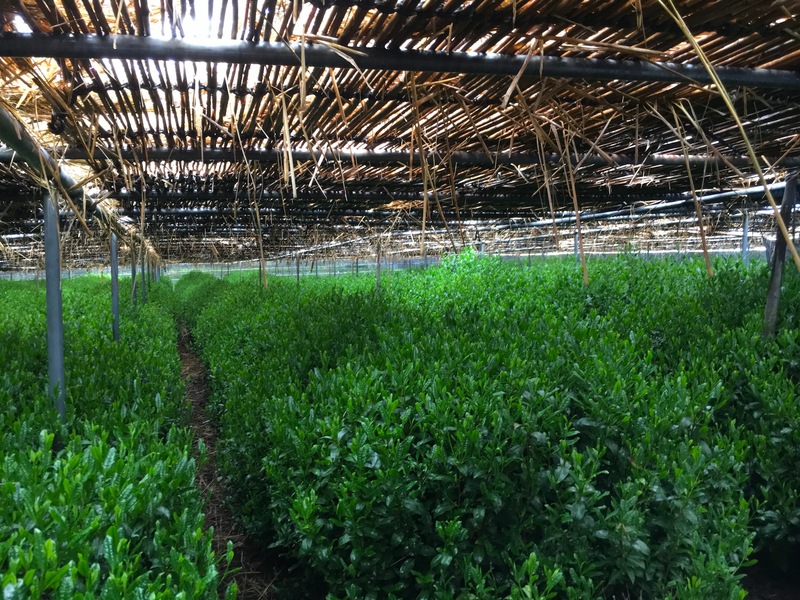 We work with a select number of tea-farmers that understand the extremely high-quality goal we set for our material. – in the final weeks before harvest, the gardens are “straw”-shaded around 80% for 10-20 days depending on the weather. – 3-4 days before harvest, even more straw is added to shade the gardens around 95%. This gives a final extra-boost of taste to the young leaves. Timing here is critical and depends highly on sun and temperature – one more day and the whole harvest might be wasted! Keep in mind that we have only one chance a year to get it right. Harvest is only hand-picked (never by machine), in order to select the very best material, the youngest leaves at the top of a branch – leaves are then immediately steamed for 20 seconds in order to prevent any oxydation and loss of taste/fragrance/color/nutritional elements. The entire leaves are softly cooled and dried through an air chamber, blowing them around gently. At this point we have “aracha”, full leaves tea. Here we set one more selection step in order to retain only the best material. After de-stemming this aracha, we get a material called “tencha”, which is only the leaf without stems. That is the base material for assessing, and making Matcha. 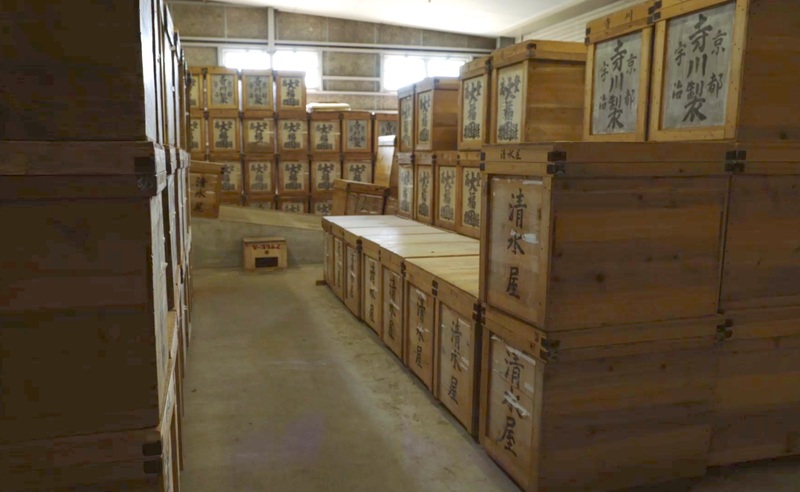 Tencha from various varieties and tea plantations are evaluated and stored in large wooden boxes, allowing us to produce fresh batches of matcha on demand, all year long! After assessing different tencha leaves and determining a formulae, we blend them according to our secret ratios and then finally grind them with a stone-mill. Each of our blends MMU01, MMU02, and MMU03 have a different formulae and are made of different tea varieties and ratios that give them a unique flavor profile. This final step of grinding is extremely slow. In order to prevent oxydation and preserve color and taste, the temperature must always be kept below 45C: only around 40g of matcha can be ground in a hour. 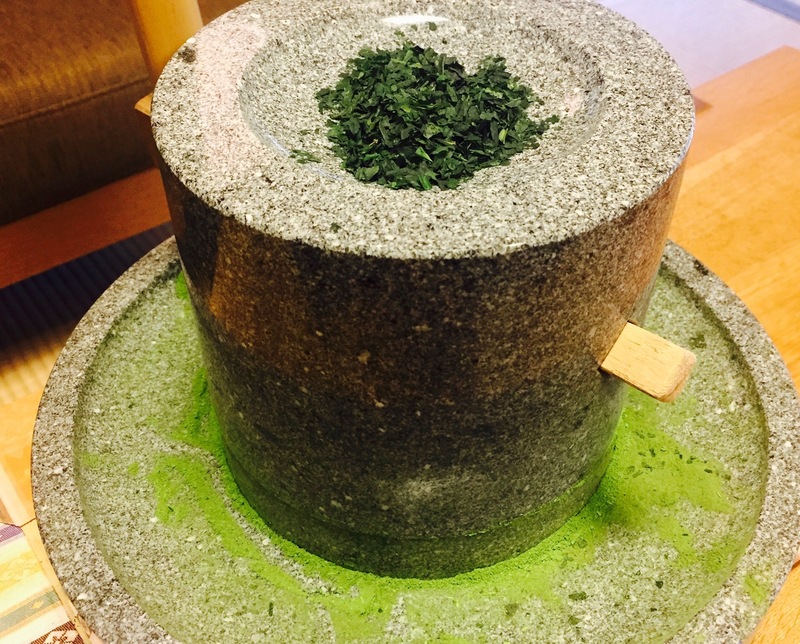 After grinding, our matcha is immediately packed in order to protect it from light and humidity.